Planet Aid's Trashy Books for the Holidays - Planet Aid, Inc. Between Thanksgiving and New Year's Day, American households generate a tidal wave of additional trash—about 1 million tons according to the Environmental Protection Agency. So what better time is there to offer a consciousness-raising reading list that uses garbage as a theme? The books we recommend represent but a small sample of an astonishing breadth of literature—from anthropology to poetry—that focuses on refuse, or at least uses it as a motif. We hope you enjoy and are inspired by them. 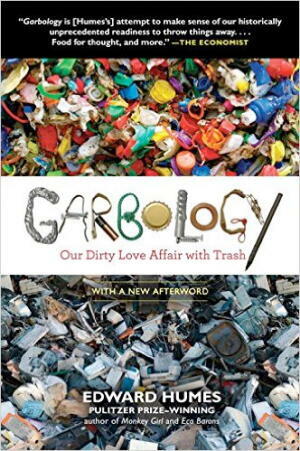 Garbology: Our Dirty Love Affair with Trash, by Edward Humes. 336 pp. Garbology is as entertaining as it is illuminating, written by Pulitzer Prize winning author Edward Humes. The book opens with an anecdote of elderly hoarders, Jesse and Thelma Gaston, who are trapped in their own home by their trash for three weeks. The book is a rollicking ride packed with statistics and examples that demonstrate how waste generation is an integral part of our consumer culture. Humes finishes with an uplifting and inspiring focus on people and places that are making a difference in cutting out waste. by Robin Nagle. 304 pp. In 1866, New York City's Metropolitan Board of Health declared “war on garbage,” forbidding the "throwing of dead animals, garbage or ashes into the streets." But New Yorkers were slow to change. In 1880, dead horses were still being left to rot on city streets; 15,000 were hauled away in one year alone. 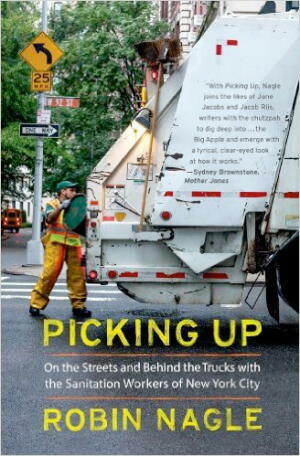 In Picking Up, NYU anthropologist Robin Nagle tells the compelling and fascinating history of New York City sanitation. She also provides a contemporary look at issues facing the Big Apple today, a city that struggles with managing 14 million tons of waste each year. Nagle herself spent a decade researching the book, even driving trucks and plowing snow as a sanitation worker. 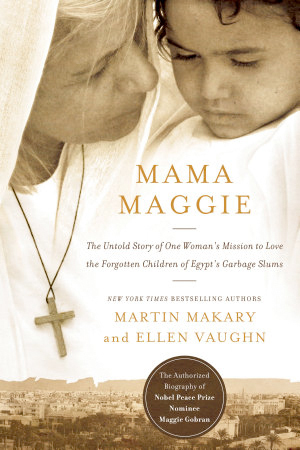 Mama Maggie: The Untold Story of One Woman's Mission to Love the Forgotten Children of Egypt's Garbage Slums, by Marty Makary and Ellen Santilli Vaughn. 256 pp. Cairo’s Zabaleen are a tribal group of rubbish collectors who make a living from reusing or recycling refuse from the city’s 16 million inhabitants. They sort out plastics, glass, metal, paper, and textiles and sell everything. Since 1997, Maggie Gobran has dedicated her life to helping the Zabaleen. She has provided food, built schools, provided medical care, and more. Authors Martin Makary and Ellen Vaughn chronicle Mama Maggie’s unique life transformation, from a privileged lifestyle as a professor to that of missionary. They describe the challenges she faced and what led her to abandon her affluent life to bring hope to these poorest of the poor who scavenge and recycle garbage. Her work has attracted worldwide fame and multiple Nobel Prize nominations, but her story, up until this year, had remained untold. Trash, by Andy Mulligan. 240 pp. Trash is meant for the teen and possibly preteen set. Mulligan is known for his Ribblestop series, and Trash is a dark departure from his lighter fare. 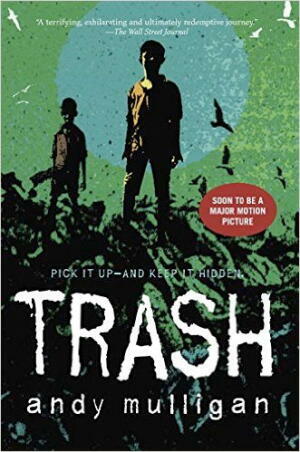 It is a gritty mystery novel set in an unnamed developing country where three “dumpsite boys” make a living picking through a giant landfill on the outskirts of a large city. The boys become embroiled in a controversy and are pursued by the police. They have no education, no parents, no homes, and no money. This book is shocking and uncomfortable, and shows just how brutal a life of extreme poverty can be. Trash was made into a film, directed by Stephen Daldry (Billy Elliott) and starring Martin Sheen. 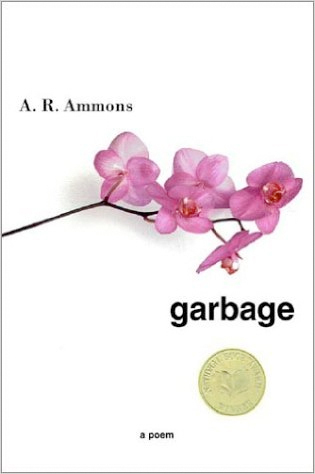 Garbage: A Poem, by A. R. Ammons. 128 pp. W. W. Norton & Company, 2002. Yes, even a poem that bears the name. A.R. Ammons is an icon of modern day poetry. He uses refuse as a dominant metaphor in this 18-chapter tome, a recipient of the National Book Award. Ammons philosophizes in Garbage as only a poet can about issues of mortality, nature, and values. See other Planet Aid book and video recommendations.